It’s 3am, pitch black, and the air has an icy bite to it. Iím driving to a far-away airport via empty motorways, the Civic diesel my partner in crime. No, Iím not a fugitive from justice ó although I once forgot to pay 10p for a plastic bag from the supermarket ó Iím attempting to catch a cheap flight abroad. These are the sort of paramilitary actions needed to travel to Italy for £40. Blipping the Civicís key fob in the hours of darkness is always a treat. As mentioned in my last report, the distinctive lighting signatures look great with their raked angles and crisp presentation. Loading a car in the dark isnít something thatís usually tested all that extensively by us motoring journalists, mainly because any sensible person would pack suitcases into a car during daylight. Nevertheless, I can report that, unlike some other cars in the class, the Civic offers plenty of ambient lighting that floods the boot space while you attempt to load your partners worryingly heavy suitcase into the boot. 519-litres of cargo capacity means that this Honda made short work of consuming numerous bags destined for the tumble dryer-like airport baggage handling system. Driving into the darkness reveals the Civicís adaptive full-beam headlights to be more than up to the job. 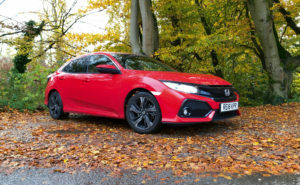 Personal experience of this system in older Honda models left me frustrated due to its slow response to oncoming traffic, but thankfully this tenth-generation Civic has had a faultless record since joining the Diesel Car and Eco Car fleet. The journey took in many motorway miles, which proved to be the perfect opportunity to conduct a real-world mpg test. While not entirely scientific, the empty motorway proved to be the perfect test bed for a relatively basic experiment. Setting the cruise control to a steady 70mph, resetting the trip computer and leaving the car to its own devices for a handful of miles, returned 73.2mpg, which in reality is pretty good. Arriving in the narrow airport multi-storey car park, the Civic once again proved easy to park with the full complement of reversing cameras and parking sensors easing egress. A nice touch is the ability to cycle through different rear views to give you a better idea of just how close you are to the obstruction behind. A last-minute decision not to take my laptop on holiday presented one final dilemma. We all know the perils of leaving valuables in cars, but I suddenly decided that dragging a sizeable piece of computer equipment around Italy with us was less than desirable. Eureka! Our SR-trimmed Civic features 58-litres of underfloor storage in the boot, which is perfect for hiding my laptop well out of sight. Thanks Civic! Multiple rear camera settings give you peace of mind while parking. 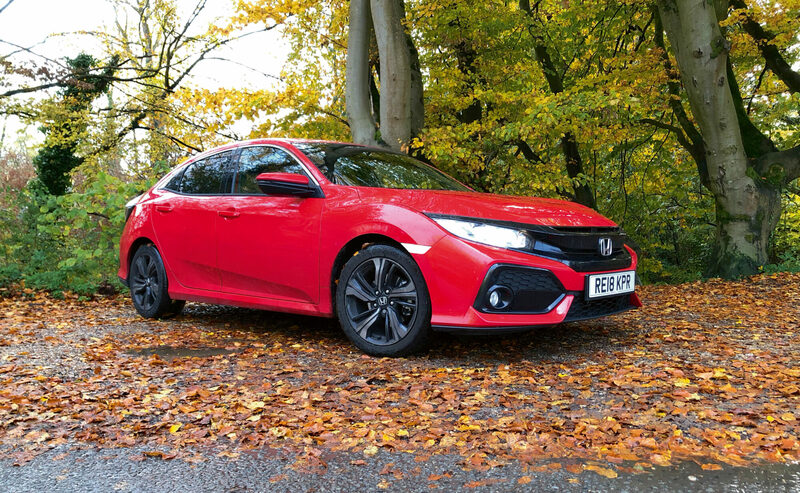 We wish Honda would bring the handsome Civic Coupé to the UK.